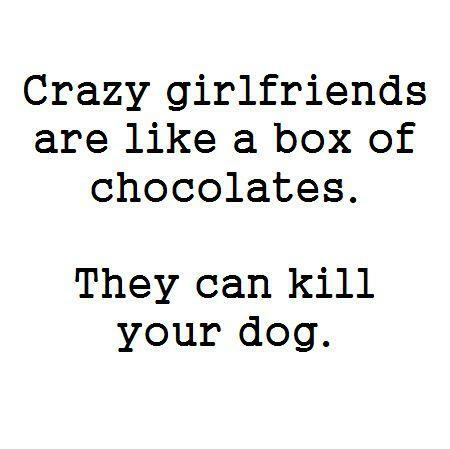 Crazy girlfriends are like a box of chocolates. They can kill your dog. Crazy girlfriends are like a box of chocolates. They can kill your dog.